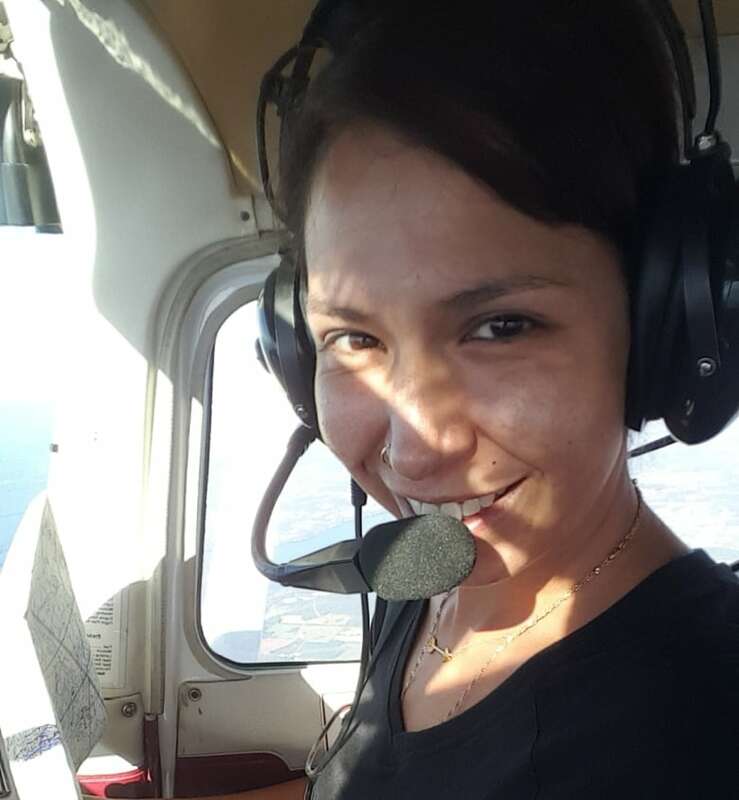 A chance meeting prompted Saskatchewan's Daniella Pettiti to quit her job at age 30 — and now she's a licensed pilot who graduated through an Indigenous flight school. A chance meeting prompted a Saskatchewan woman quit her job at age 30 — and now she's a licensed pilot who recently graduated through an Indigenous flight school. Daniella Pettiti is Cree from the Waterhen Lake First Nation, in northwestern Saskatchewan. She was born in Saskatoon and grew up in northern Alberta. Her first time on an airplane was when she was in high school in Prince Albert, Sask., after a friend invited her to come on board. "I just thought it was so amazing to be up," Pettiti said. "And I was watching [the pilot] as he was doing all his work before we took off and when we took off, and I just thought it just seemed so easy, and I thought … 'This is something I could do.'" But she didn't pursue her dreams of flying at that point. "When you're a young teen girl … you think you're not smart enough. That it won't happen. So I kind of gave up on it." Over a decade later, Pettiti was working as a medical lab assistant in Calgary and said she kept running into people in the aviation field. She said she started seeing it as a sign. And then came a five-minute chat with a pilot — a client who came into the lab where she worked. "I remember the last thing he said to me was, 'Do you think people meet each other for a reason?' And I said, 'Yeah, I do,'" said Pettiti. "It was definitely that guy — I have no idea who he was — he definitely changed my path." The unknown pilot left an envelope for Pettiti with a co-worker. Inside was $500. "I registered for ground school at Springbank Airport [in Alberta] the following day and I started classes three weeks later," she said, working evening to help pay for her classes. 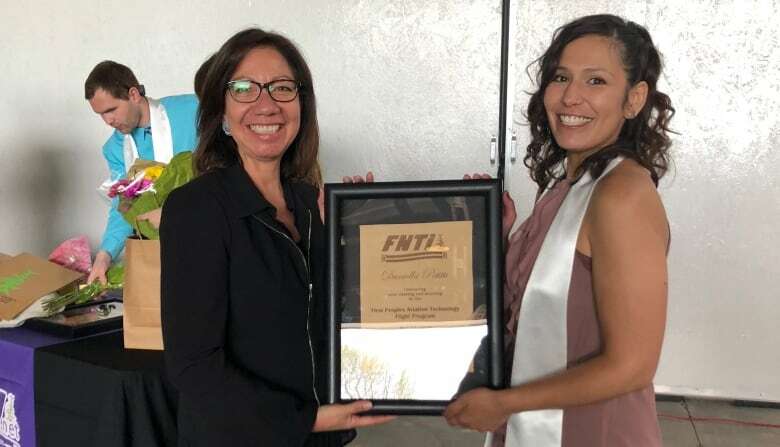 Last May, Pettiti graduated from the three-year aviation diploma program at Ontario's First Nations Technical Institute. "It wasn't like other flight schools where I hear it's quite competitive between the students.… It's so small that everyone becomes like family — including the instructors," she said. "I honestly believe if I went to any other school I most likely wouldn't have made it." Pettiti said her parents were worried when she first took her new life direction — but they came around to the idea. "Once I got there and started school they were really proud," she said. "And my mom was very excited and happy. I actually took her for her first flight on my graduation day." She also remembers her own first solo flight. "The first flight I went on my own … I was definitely scared," she said. "I just imagined my instructor — her name was Alison — I just imaged she was beside me the entire time so then I felt like I was not alone." Pettiti is now back in Saskatchewan, working in Meadow Lake and saving up to go back to school to become a flight instructor. After that, she hopes to fly up north in the summer and somewhere tropical in the winter. She also hopes seeing a female Indigenous pilot will inspire younger girls to consider aviation. "When they come to watch the planes and they see an Indigenous girl walking up to the plane and it turns out she's flying the plane, I think that would spark some sort of fire inside them."